Vera Mindy Chokalingam known as Mindy Kaling is an American actress, comedian and writer. 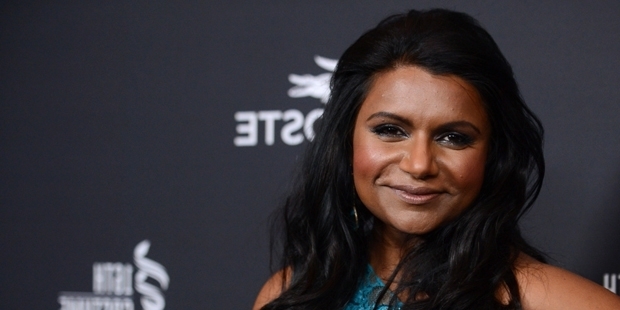 She is the creator of the famous sitcom The Mindy Project. She also serves as the executive producer and writer for the show. She is famous for her role as Kelly Kapoor from The Office. Kaling has also published several books including Unbelievable Holiday Tales: Scripting a Fantasy of a Family in 2004 and Questions I Ask When I Want to Talk About Myself in 2013. Her latest release Why Not Me? has left the readers wondering who was the charming aid of Obama that tried to woo Kaling for a year. 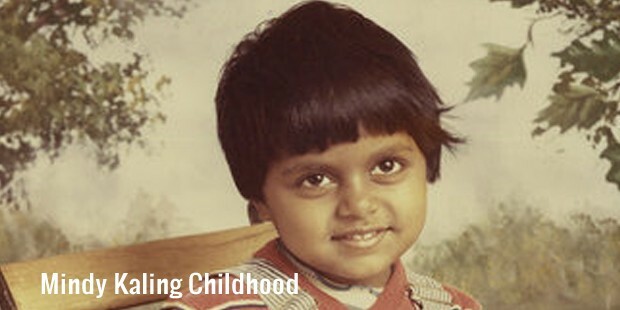 Kaling was born to Avu Chokalingam and Dr Swati Chokalingam on 24 June 1979 in Massachusetts, United States. Kaling was a member of the comedy troupe The Dog Day Players and The Rockapellas while she was in Dartmouth College. She also created the comic strip Badly Drawn Girl for the college newspaper. She graduated with a bachelor’s degree in Playwriting in 2001. 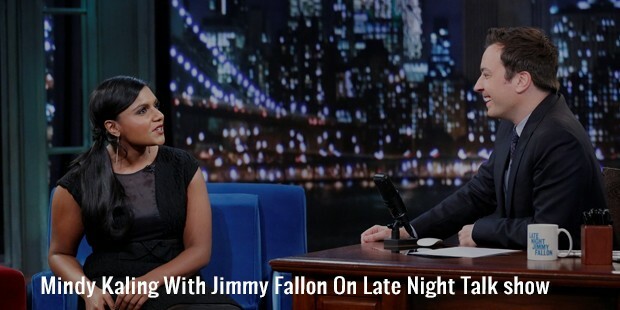 Kaling started her career as an intern on the show Late Night with Conan O’Brien at the age of 19. She later moved to Brooklyn and worked as a production assistant for Crossing Over With John Edward. 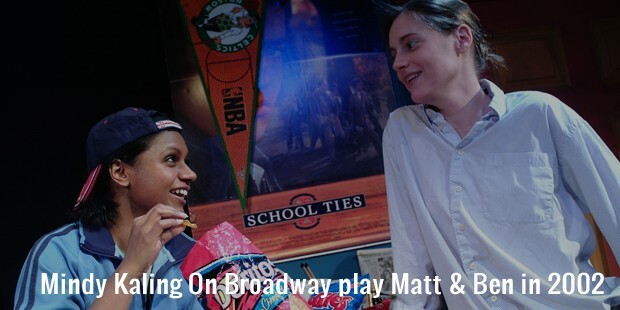 Kaling along with her best friend wrote a Broadway play Matt & Ben in 2002. The play was a surprise hit at the New York International Fringe Festival and was named as one of the Top Ten Theatrical Events of the Year. Kaling was hired by Greg Daniels in 2002, to write and perform on the show. She was the only female among the staff of eight. In 2011 she signed a new contract to stay with the show as her contract was to expire after Season 7. Kaling wrote 22 episodes of the famous series The Office. She also wrote and directed the webisode of Subtle Sexuality in 2009. She made her directorial debut in the Season 6 episode title Body Language of the show The Office. Kaling appeared in an episode of Curb Your Enthusiasm in 2005 and also featured in Comedy Death-Ray. She made her debut in films with The 40-Year-Old Virgin. Her appearances include Unaccompanied Minors, Night at the Museum: Battle of the Smithsonian and License to Wed. Kelly published her first book Is Everyone Hanging Out Without Me? in 2011 and in 2015 published her second book Why Not Me? 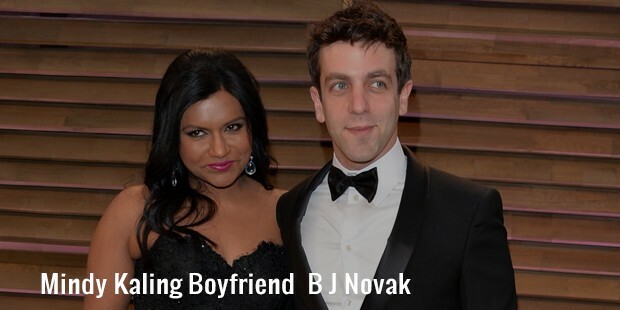 Kaling dated BJ Novak whom she met while writing for The Office. The couple had an on and off relationship from 2005 to 2007. They still are friends. Later in 2008 she started dating Benjamin Nugent. The couple dated from 2008 to 2012. Currently she is stated to be single. Kaling was nominated for an Emmy Award along with Greg Daniels for the episode Niagara of the show The Office. Kaling and her co-writers were nominated five times for the Primetime Emmy Award for Outstanding Comedy Series. Kaling also received a nomination for Outstanding Writing in a Comedy Series in 2010.